After the Fukushima accident, there is a sustained demand for information on the international and the European nuclear law. 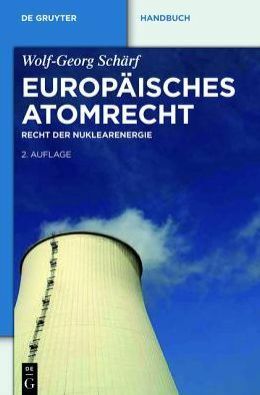 Europäisches Atomrecht: Recht der Nuklearenergie – authored by Dr. Wolf-Georg Schärf – is an important publication for anyone who deals with the matter of nuclear law. The heart of the compendium is a thorough presentation of the Euratom Treaty, including all of its component regulations, directives, and relevant decisions by the European Commission and European Court of Justice. Moreover, the author gives an overview of the European framework for the German energy turnaround. Explanations of the nuclear law system and its technical foundations are presented to the reader. The creation of this website was made possible with the financial support of the United Kingdom INLA's local section. The access to our secured pages is strictly permitted to the members of the International Nuclear Law Association. Thanks for submitting your username and password.